The Wire remains the most highly-regarded and compelling urban drama of our time. Through complex characters and story lines, The Wire has defined and created our collective understanding of how multiple systems (drug economy; criminal justice; education; media; politics) ensnare our youth and limit opportunities for achievement in spite of our best efforts to save them; or the best intentions of all the individuals that surround them. As The Wire came to a close, we elected the first black President. And yet amidst the fragile state of our economy and fractured partisan politics, we are seeing alarming levels of poverty and unemployment among the African American community. Black unemployment is virtually twice that of white unemployment. Underemployment is 3 times as high. Black youth unemployment is at 46%. So called “Wire communities” still abound. But how can we reverse course and reach back into the forgotten neighborhoods like those in The Wire to build a better future together? Despite our differences, can we find common ground that allows us to once again create opportunity for those who need it most? How do we turn these failing communities into viable ones that instead of dragging on our economy and society, improve it? 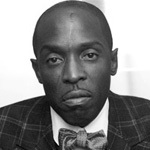 Michael Kenneth Williams has received widespread critical acclaim for his portrayal of Omar Little on the HBO drama series The Wire, and currently portrays Chalky White on HBO’s Boardwalk Empire. Michael was born in Brooklyn, New York and began his career as a performer by dancing professionally at age 22. Barack Obama cited The Wire as his favorite television show, and called Omar Little his favorite character. Sohn is also heavily involved in political activism. 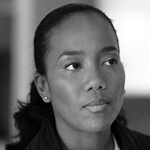 Sonja Sohn and other cast members of The Wire founded ReWired for Change (RWFC) in 2009. This nonprofit organization works to empower at risk youth, families, and communities through education, media and social advocacy, inter-generational programs, and street-based interventions. In 2010, RWFC established The Village House where community, staff and consultants carry out the organization’s mission — by offering community support and programming at no charge to youth, adult, and senior residents in East Baltimore’s Oliver Community. RWFC focuses on community building by offering The Village House as space for residents to come together to bond, support and nurture one another through intergenerational program offerings and workshops and developing their own initiatives. 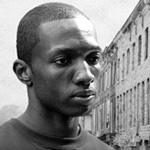 Jamie Hector is best known for his roles of Marlo Stanfield on HBO’s critically acclaimed series THE WIRE, or for Benjamin Knox Washington on NBC’s HEROES. In Max Payne, Jamie plays another “bad guy” as Lincoln DeNeuf. Although Jamie has a knack for landing the villain roles on the small and big screens, one of his favorite roles is the one he plays as founder of Moving Mountains, which services inner city youth. Jamie began acting while in high school when he auditioned for a Community Theater Co. He gave an award winning performance even then. While in college Jamie continued to book roles on TV and films. After graduating he went on to study at the Lee Strausberg Theater Institute Jamie attributes a defining moment in his career to the short film five deep breaths. With Jamie in the lead role of Bannie, the film went on to be an OFFICIAL SELECTION of the Cannes, Sundance, Tribeca and IFP Film Festivals; where it accumulated 16 awards. 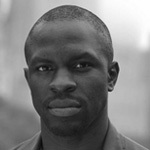 Gbenga Akinnagbe is best known for his role as Chris Partlow on the HBO original series The Wire. In 2007, Gbenga appeared in the film The Savages with Phillip Seymour Hoffman, Laura Linney, and Philip Bosco. He appeared in the remake of The Taking of Pelham 1 2 3, which was released by Sony in June 2009.He is currently starring as Kelly Slater, a new nurse in the 3rd Season of the Showtime series Nurse Jackie. 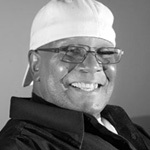 Larry “Donnie” Andrews is the real life inspiration for the character Omar on HBO’s The Wire. Donnie saw his first dead body, lynched and hanging from a tree in North Carolina, when he was four years old. As an armed robber, he swapped holding up bars for a more lucrative and dangerous occupation: robbing drug dealers. In 1986, aged 32, he committed his first and only murder. Between his 16th birthday and his murder conviction 16 years later, Andrews was arrested 19 times. He spent six years in jail for armed robbery, another two and a half years for daytime housebreaking. His fights with prison guards meant he spent most of that time in solitary confinement. On the outside, like Omar, he preferred to work alone. He had a moral code, of sorts. “I would never mess with women… [and] I wouldn’t give kids drugs. That’s how the game got messed up: you’ve got mothers, grandmothers, children of five or six trying to sell you drugs now.” Beneath Andrews’s violent veneer, there was a conscience lurking. But it was only pricked when he finally killed a man. 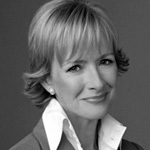 Broadcast journalist Judy Woodruff has covered politics and other news for more than three decades at CNN, NBC and PBS. For 12 years, Woodruff served as anchor and senior correspondent for CNN. After returning to the NewsHour in 2007 as a senior correspondent, she now co-anchors PBS NewsHour. She is the recipient of the Edward R. Murrow Lifetime Achievement Award in Broadcast Journalism/Television.